When it comes to new mom gifts, these 5 things are ALWAYS winners! Sponsored by Happy Cards. When you’re invited to a baby shower, there’s this feeling that you need to find the most exciting and extraordinary gift that no one else though of first. Nobody wants to walk into a baby shower with “boring” gifts. But as a mom of three, I can tell you that it is ALL about the “boring” gifts because those are the baby care items that we really need! Those end up collecting dust. Those are the things a new mom uses every day! When it comes to new mom gifts, boring = useful. Useful = good gift idea. These five gifts might not get “oohs” and “ahhs” from the baby shower crowd, but they will get LOTS of use and gratitude from their new mom recipient! It’s tempting to buy lots of cute little outfits and dresses for a new mama and her adorable new arrival. However, what she really needs are onesies — you can never have too many onesies! It’s always amazing how quickly babies grow, and grow out of their clothes. Our daughters all grew out of their newborn-sized clothes within a week or two. 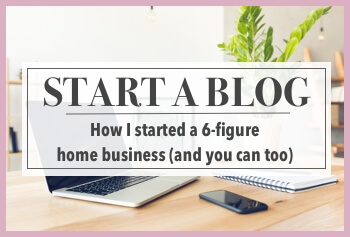 I felt so guilty with my firstborn because we never had the opportunity to use some of her gorgeous little dresses! To be honest, our babies lived in onesies. They’re so easy to put on (and take off in the even of a blow-out or spit-up disaster). They fit under pajamas, they tuck easily into a drawer or diaper bag, and they make diaper changing a breeze. With our youngest daughter, I asked that anyone who wanted to buy clothes focus on onesies because I knew we would use them every single day. 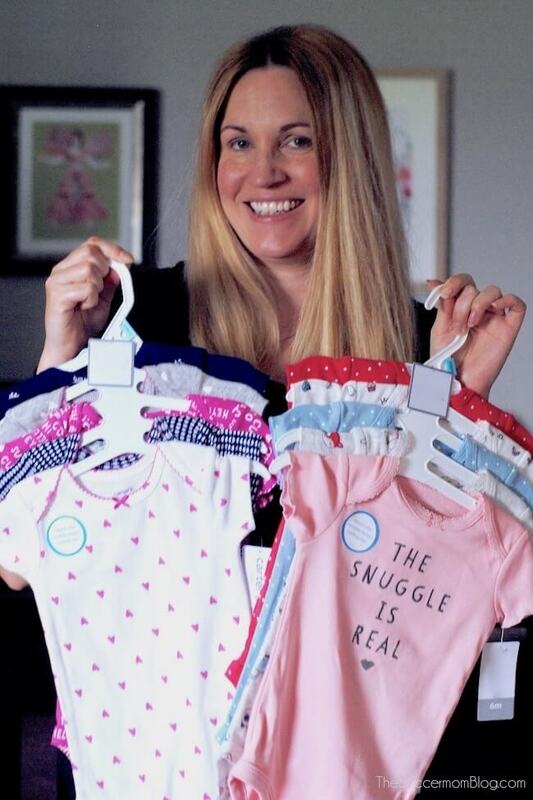 Since onesies aren’t expensive, it isn’t a big deal when your baby grows out of them quickly, and you can save them for the next baby or pass them on to another new mama. Just like you can never have too many onesies, you can never have too many burp cloths! With my firstborn, I received dozens of burp cloths — some were even personalized with her name! And believe me, they got a TON of use! I’d say that we go through at least 5 a day. Unless you want to wash laundry all day long, it’s a good idea to stock up on burp cloths. 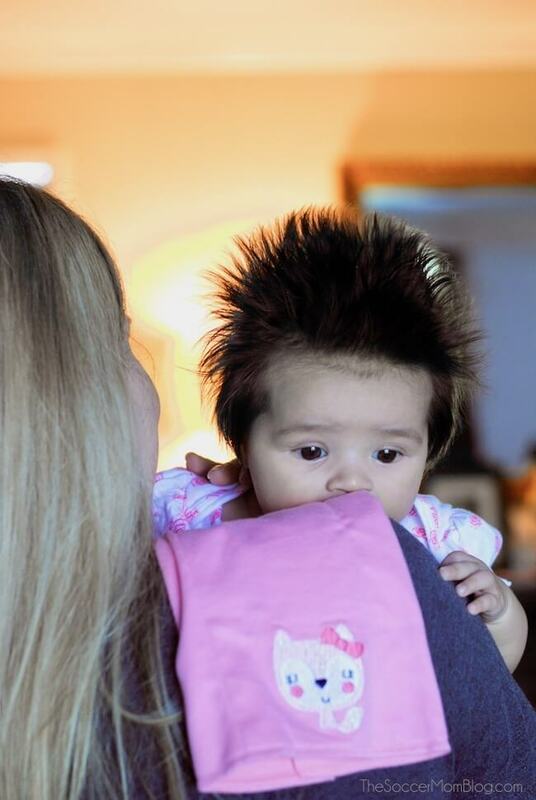 With our youngest daughter, I was actually super bummed that we didn’t get any new burp cloths as gifts. We still had some leftover, but a lot of them seemed to have gotten lost over the years. One of my first purchases with our youngest daughter was a big stack of burp cloths. I let my husband pick out the diaper bag we used with our middle daughter. I figured since he’d be carrying it half the time that it should be something that didn’t look too girly. The diaper bag he chose was a black canvas messenger bag style — totally practical and it got the job done. However the “man bag” always seemed too big for my small frame and I felt awkward carrying it. The last straw for me and the big “man bag” diaper bag was at the airport a couple weeks ago. Pushing the stroller out of the nursing room, trying to hold the heavy metal door open with one hand, steer with the other, and all the while that annoying diaper bag was slamming into my legs. I vowed right then and there that as soon as we got home I was treating myself to a diaper bag that I loved. Because if you’re carrying a bag every day, shouldn’t it be something that makes you happy? While shopping at buybuy BABY with my Happy Cards (more on those below!) I found this gorgeous backpack from The Honest Co. Made with soft vegan leather, it’s stylish enough to wear everyday and super functional. 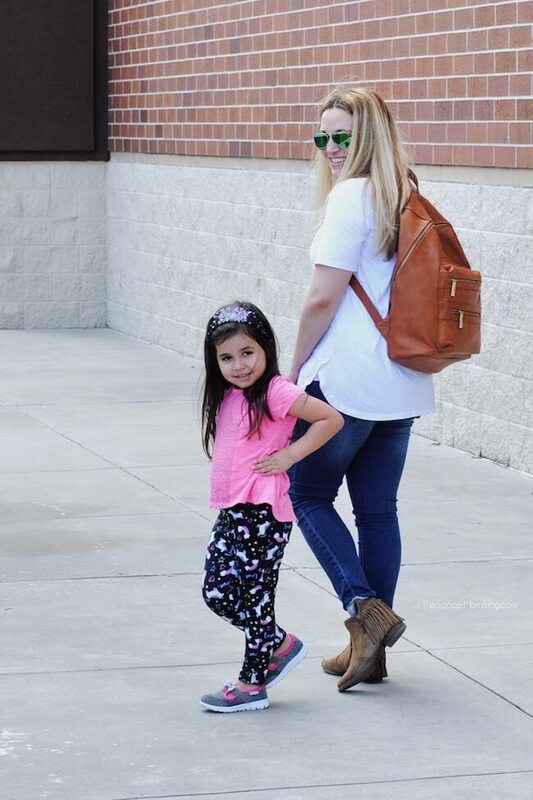 It’s a diaper bag, purse, and laptop case all in one! Plus I love the hands-free backpack style. With three kids, including a new baby, it’s definitely a plus to have both hands free at all times. I can push the stroller, hold my middle daughter’s hand, and do just about anything without my diaper bag slipping off my shoulder or getting in the way. Did I mention it’s gorgeous and simply makes me happy to wear it? 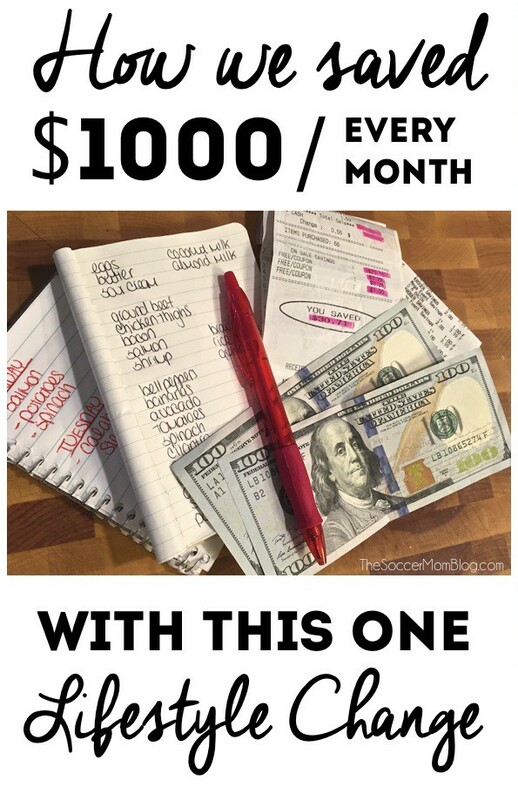 I don’t know about you, but in the past I sometimes felt a little guilty about giving gift cards as new mom gifts, like it was a “lazy” idea. Let me tell you, after the birth of my first baby, I was all about the gift cards. New moms, old moms, experienced moms, basically every type of moms LOVE gift cards. Because there is always something you discover that you forgot to buy as soon as you get the baby home. With our youngest daughter, my husband and I pooled all our gift cards to buy a car seat. For some reason we put that one off to the last minute (don’t do that). However, gift cards made an expensive purchase much more affordable. OK, so we’ve established that gift cards rock. But how do you know which store to purchase a gift card from? Happy Cards are a line of curated gift cards featuring multiple brands, so the recipient is not tied to one single store. Happy Cards are like 5 gift cards in one! Brilliant!! 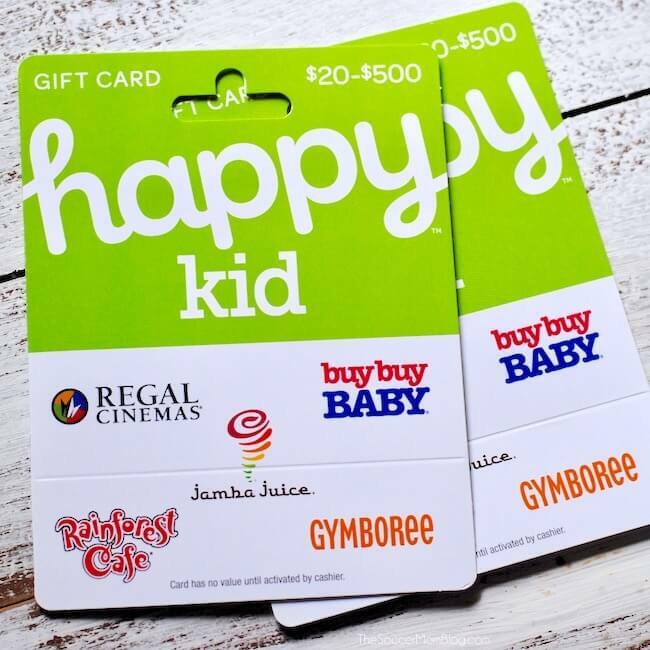 The Happy Kid card makes the perfect new mom gift because it allows a new mama to go to either buybuy BABY or Gymboree for baby clothing and essentials, treat themselves to a night out at the movies, enjoy a healthy smoothie to fuel up on-the-go, or even take the family out for a fun meal. Trust me…she will find plenty of useful ways to spend her Happy Cards! The value of each Happy Card is customizable, ranging from $20 to $500, and there are no fees. Happy Cards are available at gift card kiosks in Kroger, Safeway, Albertsons and other locations nationwide. They are also available for purchase online at HappyCards.com or GiftCards.com. 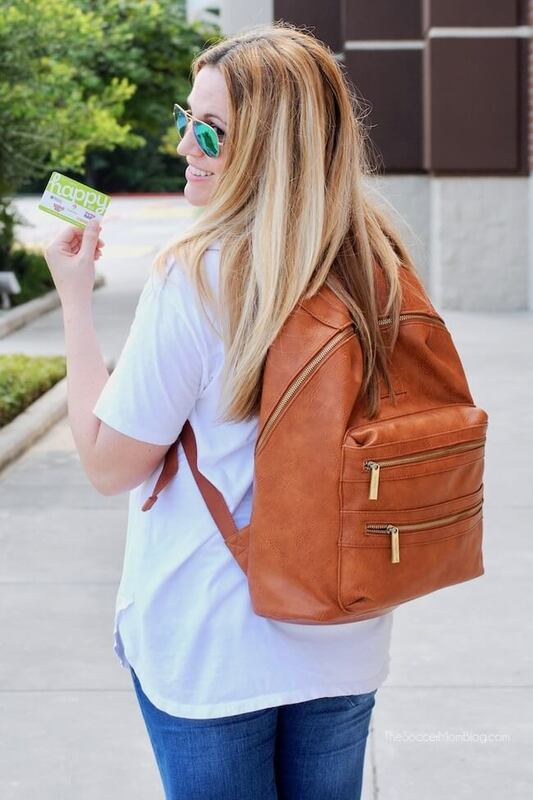 Take it from this mom of three — gift cards are far from boring and a gift card with 5 shopping options is WAY cooler than just one! They make breastfeeding a breeze, they’re super comfortable, and some of them are actually kind of cute! When you find a good nursing bra, you’ll want to wear it every single day! …or so I hear… wink, wink. Save your new mom friends the trial and error of searching for THE perfect nursing bra by buying them the style that you already know is awesome! 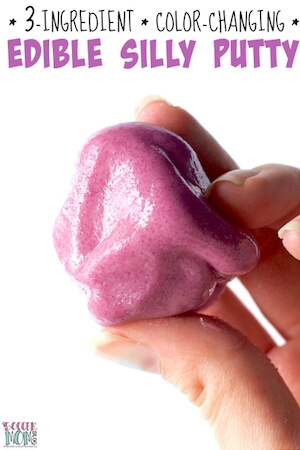 Related: See more of my favorite breastfeeding essentials here. 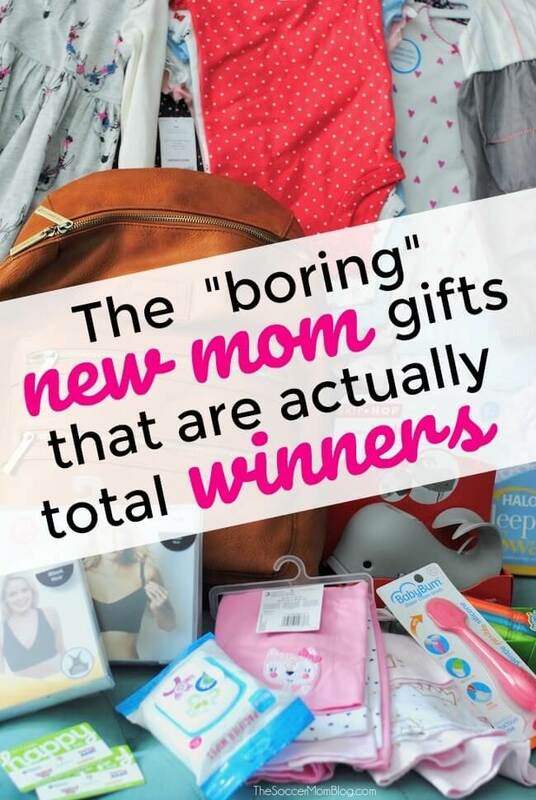 When it comes to new mom gifts, boring is best! 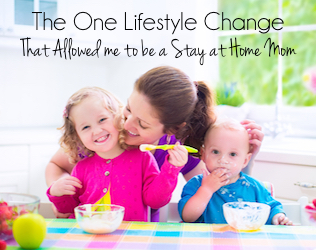 I’d love to hear from you — what is the new mom gift that you used the most? Onesies and gift card are often gifts that I always received. That is a great gift because onesies is mainly for kids but the gift card can be used by mom and kids. 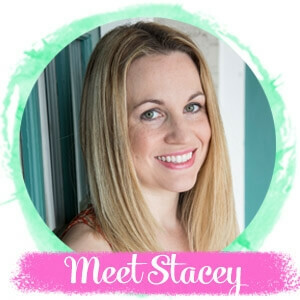 That’s why I especially loved the Happy Kid cards here – I was able to find all the baby essentials I still needed, but there were stores that moms would love too!